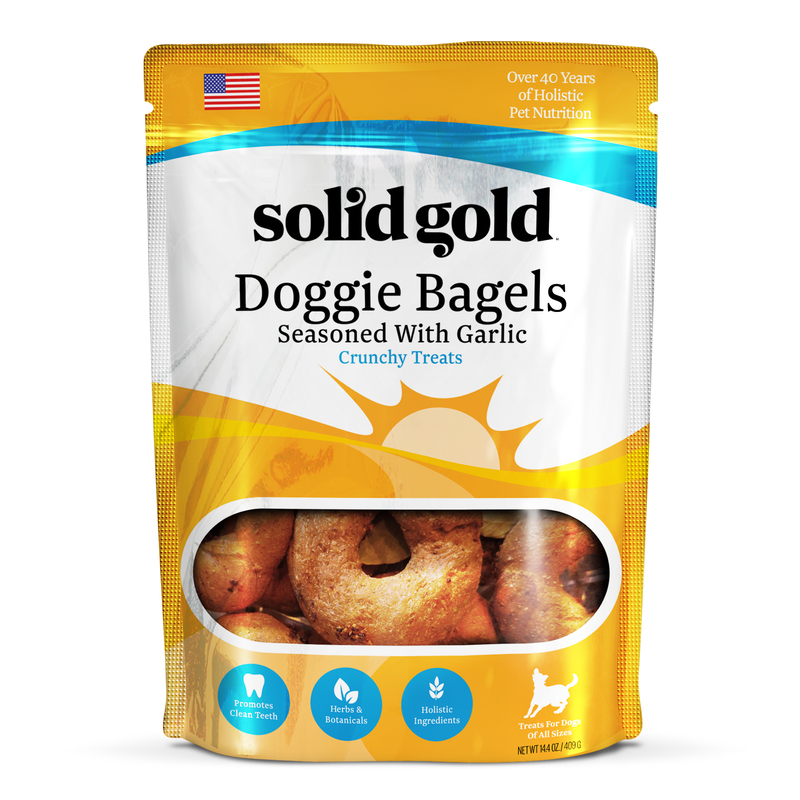 Garlic Doggie Bagels are a hard, crunchy vegetarian treat made with spelt, barley, and real garlic. Excellent for helping keep the teeth clean by preventing excessive tarter buildup. Garlic Bagels can be broken with a hammer for smaller or older dogs. Available in a .9 lb resealable bag.